Utter the phrase "British Invasion" in Latin America today and you'll hear nothing. Well, maybe the Spanish or Portuguese word for "What?" You see, The Beatles didn't go to Latin America... even if the drugs they used for "creative motivation" did. But the U.S. and Latin America share one thing in common: they were both invaded by the British and, one way or another, incorporated into the British Empire. After the loss of the 13 North America colonies, the British decided to expand into the Latin American colonies in Central and South America. The Crown concocted a way to take this territory away from Spain, who had complete control of the continent. The plan was simple: send two British expeditionary forces to the region. One would land in Venezuela and march to Peru, while the other would land in Argentina, capture Buenos Aires, recruit local soldiers, scale the Andes Mountains, liberate Chile... and then launch an amphibious assault on Peru at the same time as the first British expeditionary force. Easy peasy. This so-called "Maitland Plan", named after Sir Thomas Maitland (who helped concoct it), was put into effect during the Napoleonic Wars in 1806. 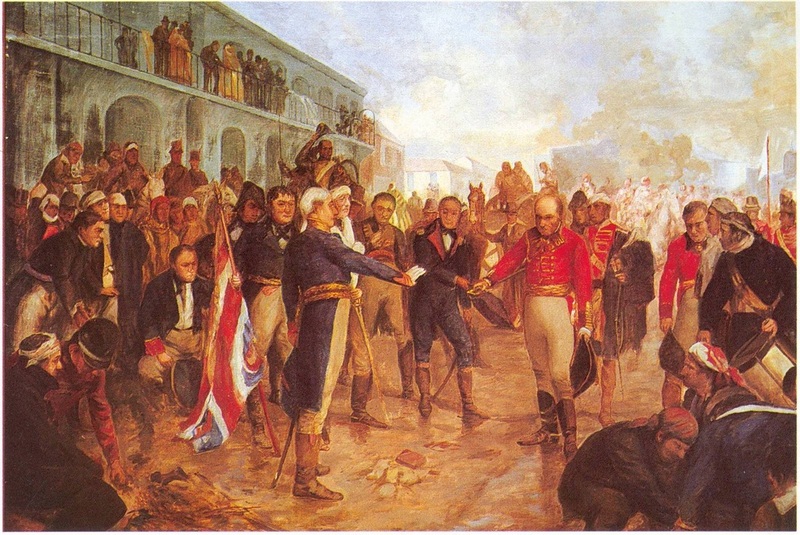 Britain used the fact that Spain was an "ally" of France as an excuse to attack its Latin American colonies. (Spain had been defeated by Napoleon and absorbed into the French Empire.) Britain sent an expeditionary force of 1,600 to invade Buenos Aires; it failed. A year later, an invasion army of 11,000 arrived in Buenos Aires. 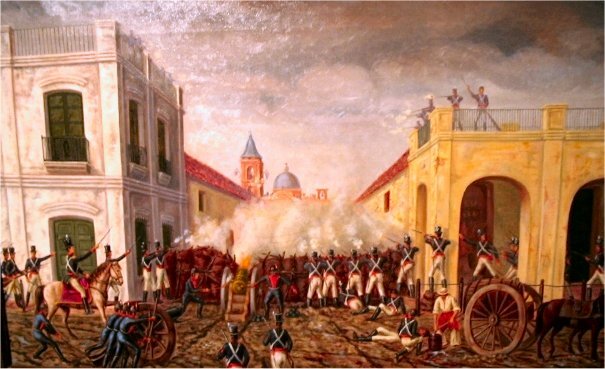 The fighting in Buenos Aires went down as one of the most heroic pages in all of Latin American history. The people of Buenos Aires single-handedly defeated this huge invasion force in hand-to-hand and street-by-street fighting. What a pisser, eh, Britain? The Crown was surprised by the determination of these pesky colonials. 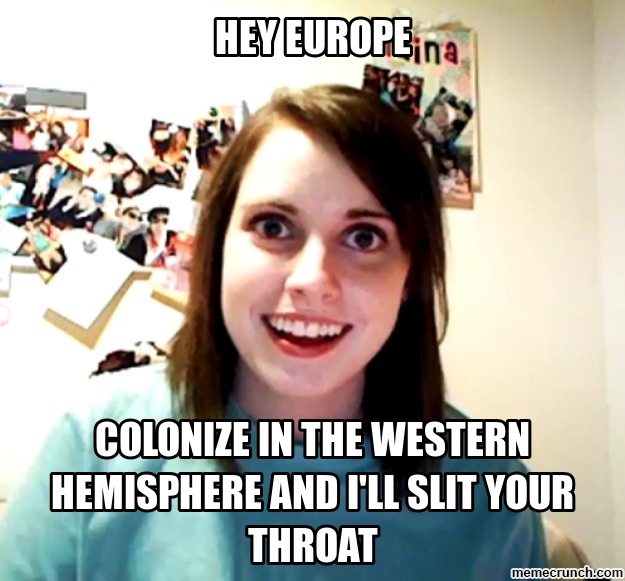 What was up with colonists on that side of the world?! Still determined to get what it wanted, Britain decided to destroy Spain's stronghold... from the inside. 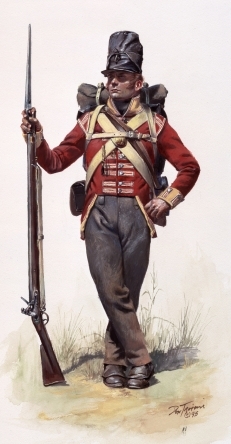 The new tactic was to recruit young army officers, born in South America, to lead an insurrection against Spain and turn the new countries into loyal subjects of the British Crown. 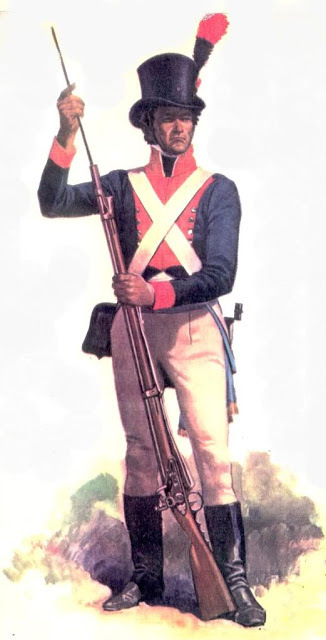 From 1807-1824, Spain's colonies in Latin America fought for their freedom. 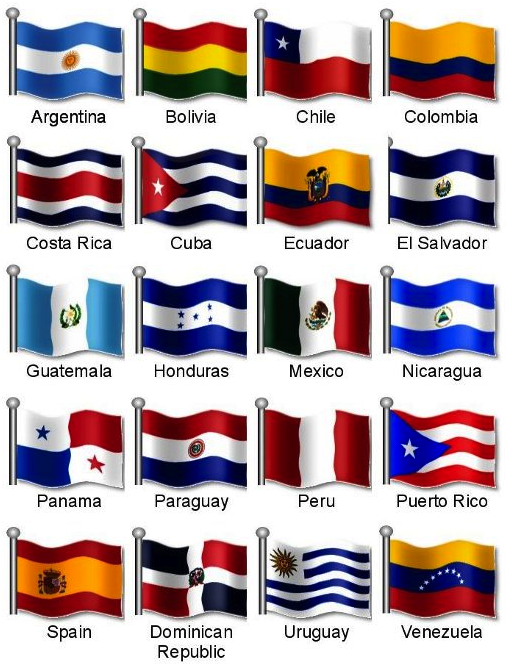 This included Mexico, Peru, Uruguay, Paraguay, Colombia, Venezuela, Argentina, Bolivia, and Chile. And several of their "George Washingtons" – such as Jose de San Martin and Simon Bolivar – were influenced and encouraged by Britain. The rest of the story is very well known by students of South American history. 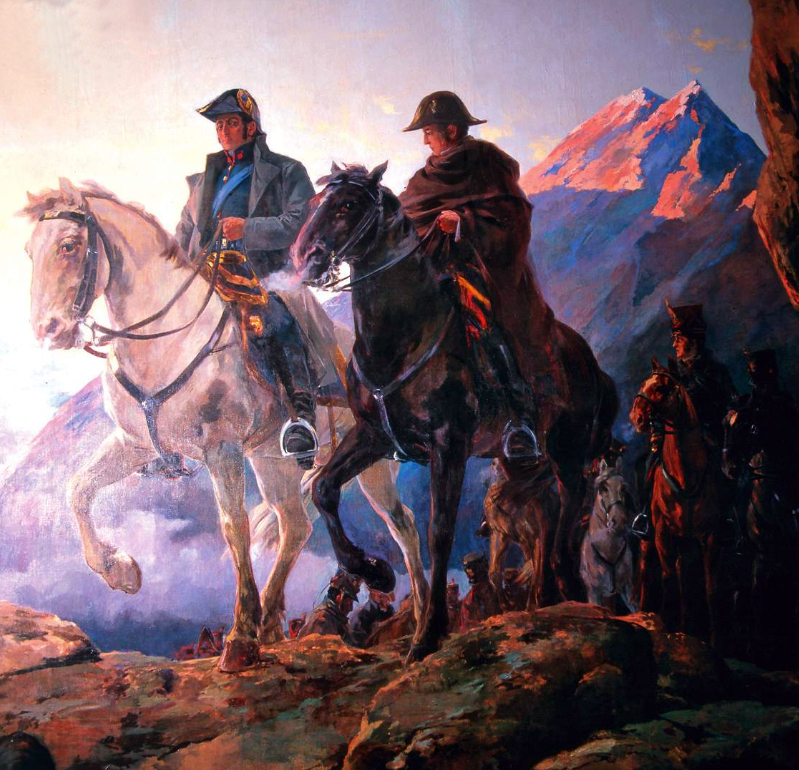 San Martin scaled the Andes and liberated Chile. After an amphibious landing, he later captured Lima. Bolivar completed the liberation of South America after marching south, having started in Venezuela. In other words, the Maitland Plan was executed to the letter. The biggest threat to the newly acquired independence of these colonies came from (surprise, surprise) Europe. Many European countries wanted to intervene and send troops to restore Spain's control of Latin America. Spain's loss of its overseas colonies sent a bad message to the colonies of other major European countries: independence was possible. No me gusta! 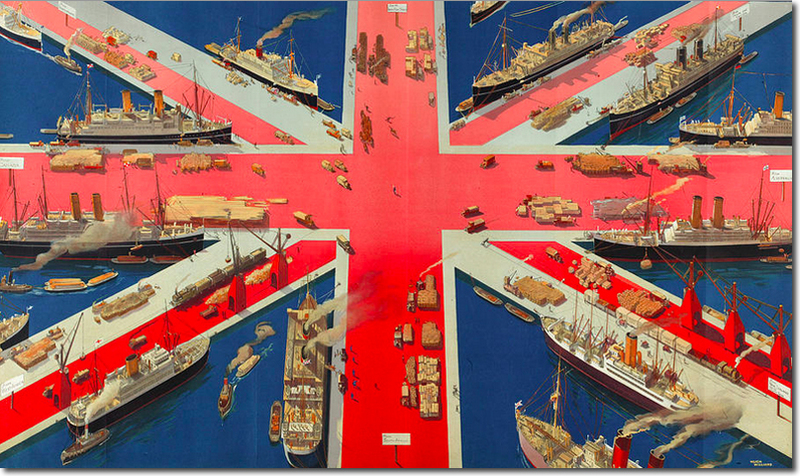 Britain and the U.S. (who took note at how Britain started a revolution willy-nilly to get what it wanted; can you say Panama Canal?) feared this might undermine Latin American independence... and the two didn't want that to happen. Why not? Because freedom is... good. (Yea, go with that.) This is what they "said". In actuality, Britain and the U.S. didn't want to jeopardize losing (or sharing) their lucrative Latino markets with others. Clearly, Argentina and all of South America, were indeed a British creation and the product of the Crown's imperialistic desires. Latin America soon became a key source of raw materials for Britain, who could then re-sell much of these resources to other European markets. 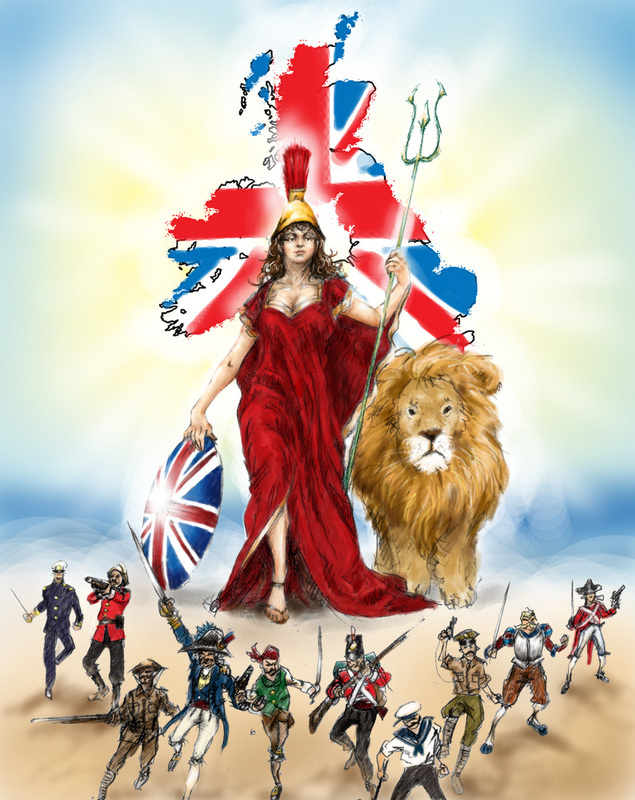 For the rest of the 19th Century, there was no need for the British to further their influence in this part of the world. They had already been as successful as they had needed to be. 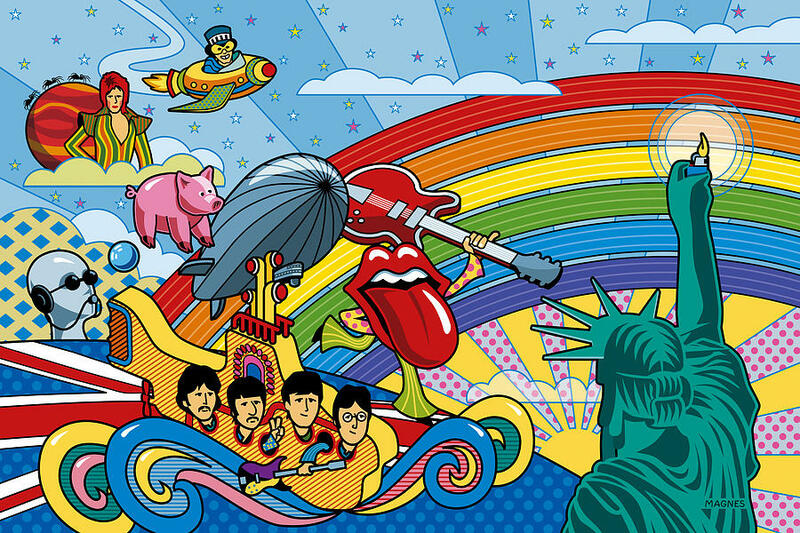 Maybe it would've been better if The Beatles had landed there instead. In December 1823, U.S. President James Monroe issued the Monroe Doctrine. In it, he told European powers they were no longer allowed to colonize in the Western Hemisphere and that they should not interfere with the newly independent Latin American republics. 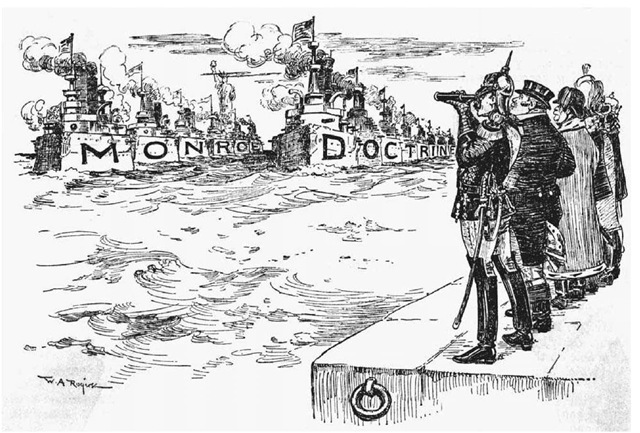 The Monroe Doctrine specifically warned Europeans against attempting to impose a monarchy on independent American nations... but added that the U.S. would not interfere in existing European colonies or in Europe itself. 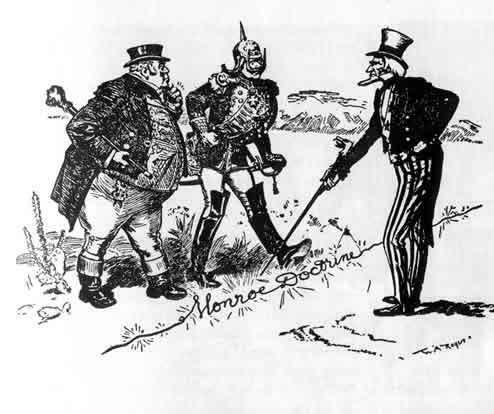 The Monroe Doctrine became a keystone of U.S. foreign policy for many years. While it sounded tough, the U.S. was actually in no position to uphold it. However, no European country had the balls to call us on it. Shocker. Like a couple that starts off hot 'n' heavy, Britain and Argentina's BFF cuteness soon wore off. 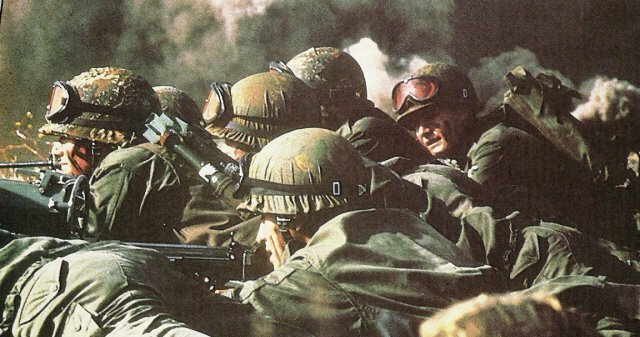 In 1982, a 10-week war broke out between the two allies. 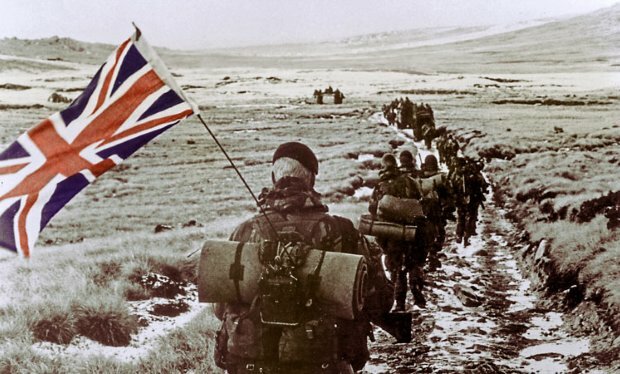 The Falklands War started on April 2, 1982 when Argentina invaded and occupied the Falkland Islands, South Georgia (no, not the U.S. state), and the South Sandwich Islands in an attempt to take back territory they felt was theirs. (Britain had claimed South Georgia in 1775, the Falkland Islands in 1843, and the South Sandwich Islands in 1908. Argentina had claimed South Georgia in 1927 and South Sandwich in 1938. 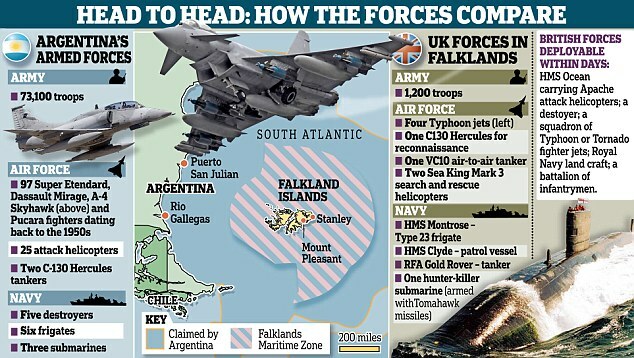 The Falkland Islands - or as Argentina called them, Islas Malvinas - were, well, just "nearby".) 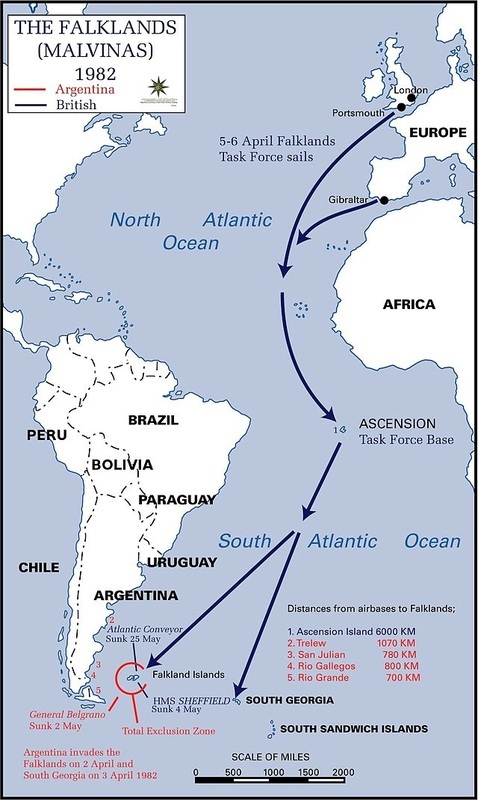 On April 5, Britain dispatched a naval task force to attack the Argentine Navy and Air Force before making an amphibious assault on the islands. The conflict lasted 74 days and ended when Argentina surrendered on June 14th, returning the islands to British control. In all, 649 Argentine and 255 British soldiers died. In addition, the once friendly relationship between the two nations ended. By 1989, Spain (ironically) intervened to get both sides "talking", but neither was ready to give up their "claims" to these lands. In 1994, Argentina added its claims to these territories to its constitution. 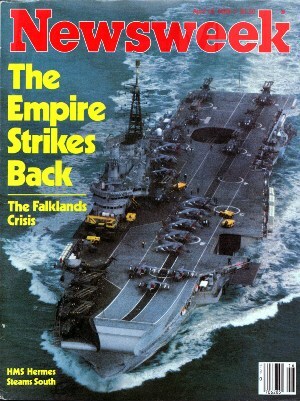 In 2012, the British, however, resumed their imperial agenda when they started drilling for oil just off the coast of the Falkland Islands. The Argentine President responded by imposing controls on shipping in the waters around the islands, stating that any ship travelling to or from the islands must get prior permission from Argentina, a requirement Britain told captains to ignore. The President of Venezuela backed up the Argentine people when he told Queen Elizabeth II that the days of empire are over: "Look, England, how long are you going to be in Las Malvinas? Queen of England, I'm talking to you... the time for empires are over, haven't you noticed? 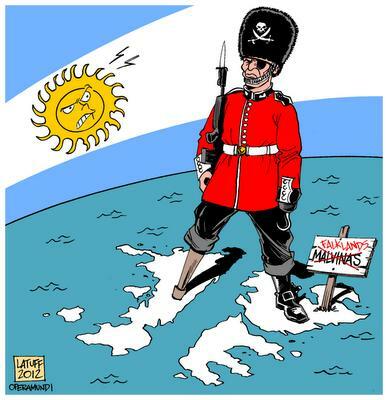 Return the Malvinas to the Argentine People." Britain responded by sending a nuclear-armed submarine to the area... and continued to drill. I'm confused. Are the penguins the "bad guys"? [Click picture for a larger version.